The new congressional map is bringing to an end years of campaigning in a GOP-leaning district for Rep. Tim Holden (D-Schuylkill). It appears the Congressman is about to get a serious primary challenge from Matt Cartwright, a prominent attorney from Moosic. He is laying the groundwork for a run against to the 18-year incumbent. “I’m seriously, seriously considering it. We’ll have an announcement shortly after the new year,” pending the go-ahead from his family, Cartwright told PoliticsPa. 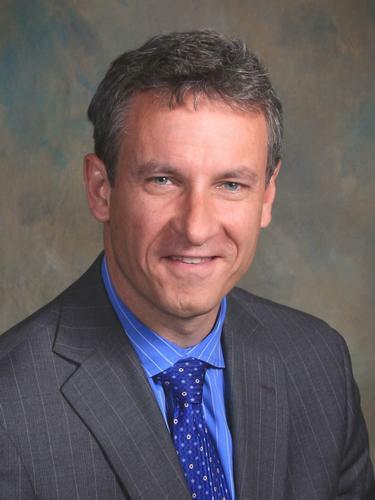 Cartwright, 50, is a partner at one of northeast Pa.’s better-known firms, Munley Munley and Cartwright, where he specializes in personal injury and business law. He’s been named a “Super Lawyer” by Pennsylvania magazine 8 years running, according to his bio. He is married to Marion Munley Cartwright and they have two sons. Holden is the former Sheriff of Schuylkill County. He was first elected to Congress in 1992, and overcame GOP attempts to draw him out of a district in 2001 – defeating long-time Republican incumbent George Gekas in the process. Since then, he’s run and won in an R+6 district. The new Pa-17 will be about a D+6. The Congressman currently represents all of Dauphin, Lebanon and Schuylkill counties with parts of Berks and Perry. The new district, pictured right, includes all of Schuylkill and parts of Carbon, Lackawanna, Luzerne, Monroe, and Northampton counties. It new includes the cities of Easton, Scranton and Wilkes-Barre. 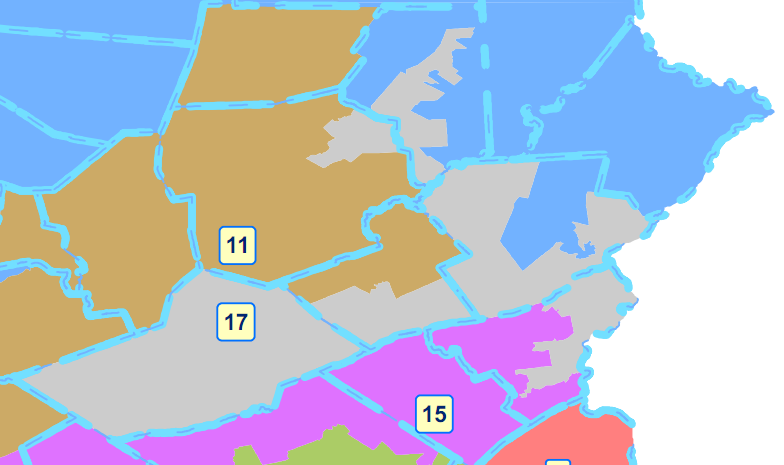 The new 17th congressional district. The case for Holden is a clear one: he’s the most senior member of the Pa. congressional delegation; he has the tenure needed to bring home the bacon. As second-ranking Democratic member on the House Agriculture Committee, he has the ability to steer countless millions to the district. While conservative – he voted against the health care law, and opposes many environmental regulations – he has a strong relationship with organized labor, a key constituency in NEPA. He has the advantages of incumbency; the support of the Democratic Congressional Campaign Committee and a donor list he’s compiled over decades. He boasted $268,000 cash on hand in his most recent campaign finance report. And he has the campaign experience that comes with it. He has spent much of the past six months talking to officials and party leaders in NEPA, and much of the past two weeks reaching out to Democrats in Northampton County. Harry McGrath is the Chairman of the Lackawanna County Democratic Committee. He says that after losing Rep. Paul Kanjorski, the region could use Holden’s seniority. That’s not lost on Cartwright, but he says the new district opens a window against Holden that wasn’t there before. “It is feasible because the political center of gravity of this district is much different from where Mr. Holden has been running his whole political career,” Cartwright said. Rather than than the health care vote, Cartwright said Holden’s most significant departure from Democratic orthodoxy in the past few years was his vote against a 2009 bill to amend foreclosure rules. He was one of 24 Dems to vote no. Cartwright said he, like Holden, would have opposed the health care law as it was written, but would have supported it with certain modifications. Cartwright may be new to running for office, but sources among northeast Pa. Dems say he’s not a political neophyte. He’s well-connected and has contributed over $10,000 to Democratic candidates in the past 5 years, including former Pa. Rep. Frank Edwards Shimkus ($5,000), Bob Casey ($3,000), U.S. Rep. Chris Carney ($2,950), Joe Sestak ($2,000) and more. The television production company his firm uses now was the same one retained by the campaigns of Corey O’Brien (who ran and lost to Kanjorski in the 2010 primary) and Pa. Rep. Eddie Day Pashinski. The biggest concern for Holden? That politicos and donors in the Scranton-Wilkes-Barre area will want the newly drawn 17th district to be a NEPA seat and decide to support the challenger. Cartwright said he wasn’t wealthy and wouldn’t self-fund the race, but he and his in-laws (the well-known Munley family) have a built-in fundraising network. Trial lawyers are the number one source for Dem donations in the region. If they he wins the support of his colleagues, Cartwright could be in line for “twenty or thirty double-max checks,” said one Democratic operative. That’s 20 or 30 checks for $10,000, the federal contribution limit for a married couple. Moderates are a dying breed. What a shame. Real Dem as in liberal wackjob? If the District is more +D, then we can finally get rid of Holden and get a real Dem in there.